Celebrating Valentine’s Day is a great way to show the people in your life how much you care about them. You might take them to a nice restaurant, buy them chocolates, cards, or flowers, or prepare a lovely experience for you both to treasure. Have you ever thought about how you demonstrate our appreciation for those at work? Like loved ones and family members, the people in your work environment thrive when they feel that you support and encourage them. There are many simple ways to show your support. They don’t even have to take a lot of time, effort, or energy. In adopting some simple habits of communication, getting better at giving feedback, and understanding how to inspire your people, you can send your team message that you value them and their contributions to the company’s success. 1. 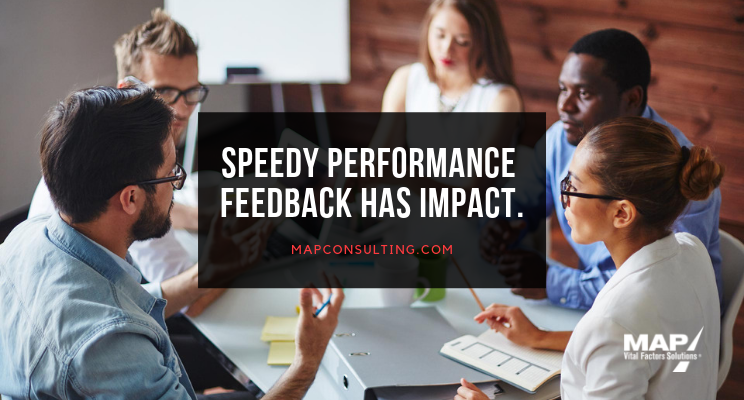 Give speedy performance feedback. The faster you deliver feedback, the more impactful it will be. 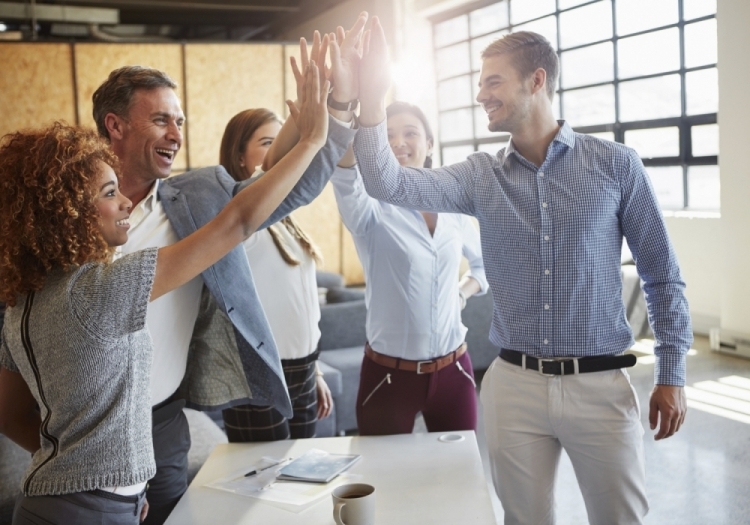 If you want to inspire meaningful interactions and encourage productivity, you need to be able to praise right action, and be sure that – even when giving constructive criticism – that you never undermine an employee’s productivity or performance. Timely feedback is a powerful tool. It shows that you care about what’s happening, and that you’re an active part of the team. 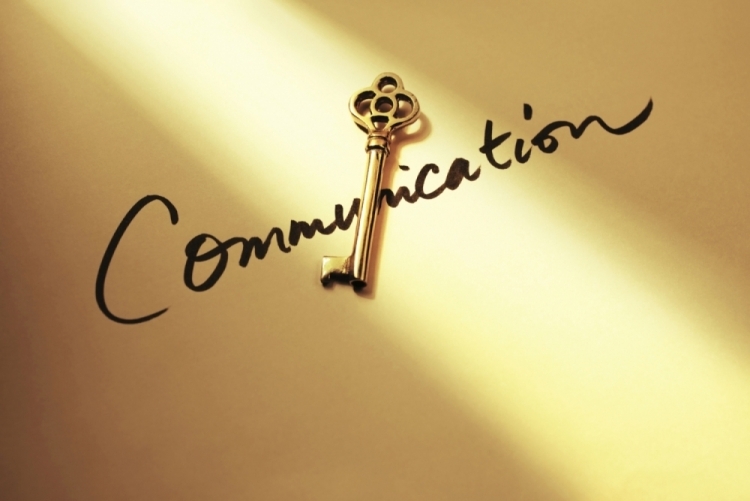 By paying attention and stepping up when something (good or bad) needs to be said, you send the message that the wellbeing of this individual or this project is a priority. 2. Speak only after you think. If you’ve got something important to say, treat it like it’s important! Plan your conversations ahead of time, and take a moment to reread emails before you send them. Deliberately practice what you’re going to say, even write it down and look at it, before you go into a meeting. That will help you avoid saying the wrong thing or hurting someone’s feelings. Don’t have time to prepare? At least pause and take a few breaths, giving yourself a moment to think before you speak. Then follow the Golden Rule—always choose to be kind over sharp, and to explain the situation in words that help encourage the other person to move forward and do better, rather than harping on what they’ve done wrong. 3. Catch someone doing something good. If you notice an individual actively supporting your organization’s primary goals, be sure to recognize their actions. 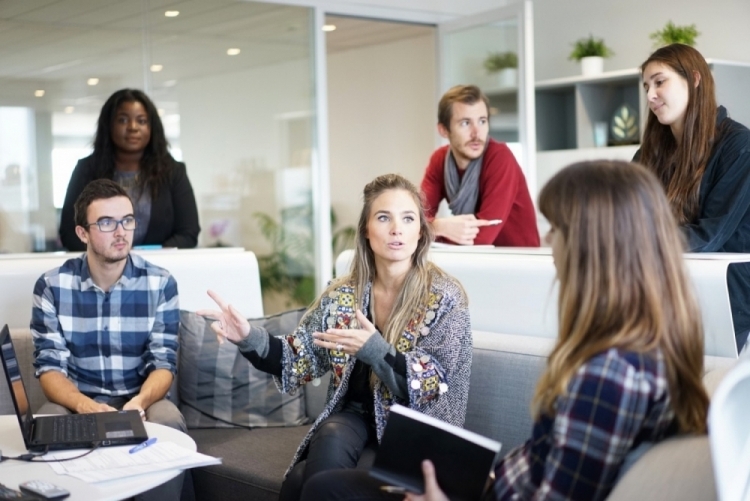 Depending on how that individual prefers to be recognized, highlight their excellence through an email, in a team meeting, or by pulling the individual aside and commending them in private. Make sure to let that employee know what they’ve done well, and specifically how their actions made a difference. 4. Ask people for their opinion. Even if you think you know the best solution to a problem, go get the perspectives of others before you move forward. You may find that others have smarter answers, or may know the situation better than you do. Even if they don’t, you gain their thoughts on how to make your solution work for everyone! You’re not wasting your time by pausing to involve your team. You’re showing that you value their expertise, and want their buy-in on the issue. It’s an easy way to communicate that you care about what others bring to the table, and that makes everyone feel like a valued team player. 5. Manage on the move. Show that you care by finding out what’s really going on with your people. Get out of your office for a set amount of time each day, if you can. It could be five minutes a day, or twenty minutes once a week. Take the time to look at all parts of your workplace, to ask how people are doing relative to their goals, and to find out any challenges or difficulties. Be sure to do a lot more listening then talking! If your team is struggling, ask them to come up with alternate solutions to the problem, and to think about how they might innovatively solve the issue. Get their thoughts on why this issue (good or bad) is popping up, and listen seriously to any improvements they suggest. What’s been one simple, effective way you’ve shown you care about those you lead?